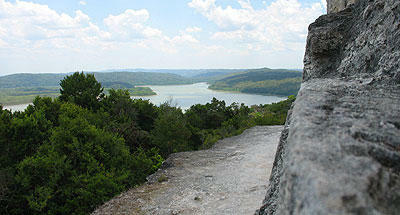 This beautiful and peaceful archaeological site strongly resembles Chichen Itza. 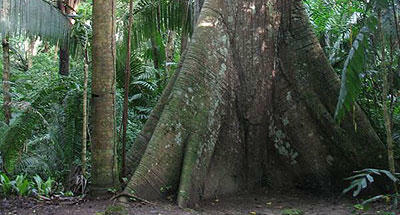 It flourished around Postclassic Period and is considered one of the last great Maya capital. It has paintings on the basis of one of their temples. 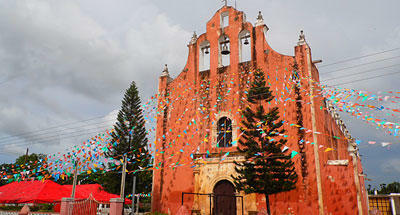 The archaeological zone of Mayapan is located a fraction of an hour from the city of Merida. From the north, is the gateway to the cluster of archaeological sites of Kabah, Sayil, Uxmal, and Xlapak Labna, the route is intertwined with the "Route of the Convents". 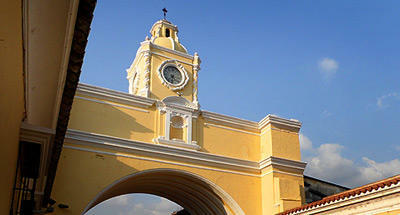 Within the walled city it contains of a central square and civic administration buildings - religious. The buildings were originally deployed as traditional platforms and pyramids, including the main pyramid of strong resemblance to the "Castle of Kukulcan" found at Chichen Itza. The circular complex structures that are recognized as observatories, add beauty to the whole. Both observatories with their appearance, together with the main pyramid as a group, immediately resemble Chichen Itza. 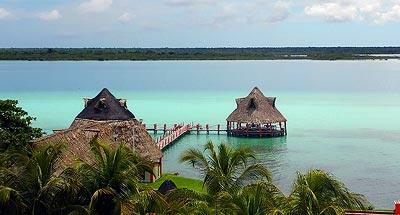 In fact,Mayapan is to be regarded asa sized replica of Chichen. 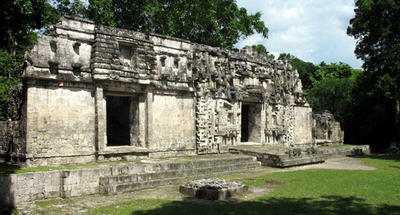 It also has architectural features similar to those of Tulum on the Riviera Maya, that had groups of round columns. Recent findings in archaeological excavations indicate that Mayapan flourished long after Chichen Itza and Uxmal, nearby cities with which it is believed to have once formed a triple alliance. 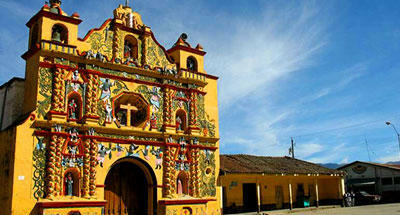 Mayapan hosted approximately 12,000 inhabitants. The archaeological complex of buildings that spans four square miles and is believed to have flourished around 1,200 a 1.450 dC in the Postclassic Period. Despite the passage of time, one can still see the detailed art practiced by the inhabitants of the city. The lower parts of one of the temples has sequences of detailed paintings, retaining their original colors. Its overall structure is easily remembered like that of Chichen Itza, but unlike the huge archaeological site that fills with tourists in a collosal manner, Mayapan has a sober influx of tourism, making it a pleasant visit ,and easy to enjoy the whole day ahead. It has a small cenote called "Cenote Chen Mul" located between the "Temple of the well" and "Hall of the Masks", located at the end of the complex behind the Castillo of Kukulcan. The site is still under study and much of its history is unknown, however the findings indicate that the city was destroyed, burned and finally left in neglect in the mid-fifteenth century. 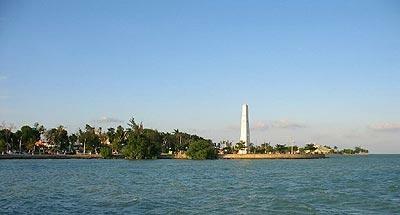 From the city of Merida you have to follow the road south until you reach Acanceh Tecoh. 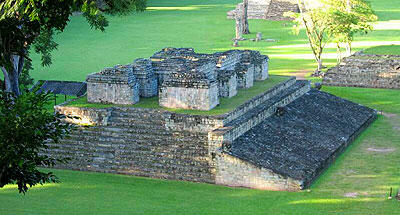 From there, it will take a few minutes until the Archaeological Zone of Mayapan,which is open from 8:00 to 14:30 hours. 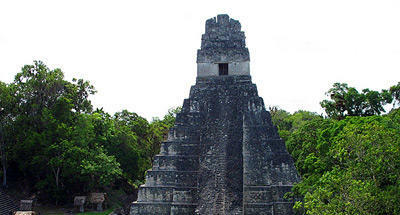 If you come from the southern Yucatan, you can visit the archaeological sites conglomerate Labna Xlapak, Sayil and Kabah. Arriving at the latter crosses to Ticul and continuing until Teabo. From here you climb up to Tekit and Mama. Early travelers: it is important to remember that the city of Mayapan and Archaeological Zone Mayapan are two distinct destinations. Recognize your specific directions leading to the archaeological site.